Hi! 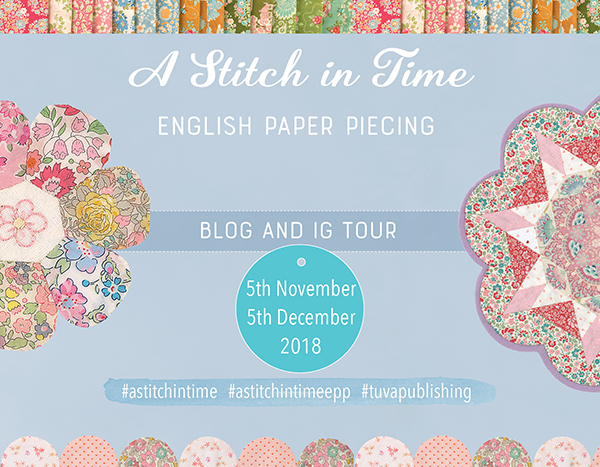 It's my stop on the book tour for my friend and fellow Tuva author Sharon Burgess' new English Paper Piecing (EPP) book, 'A Stitch In Time'! 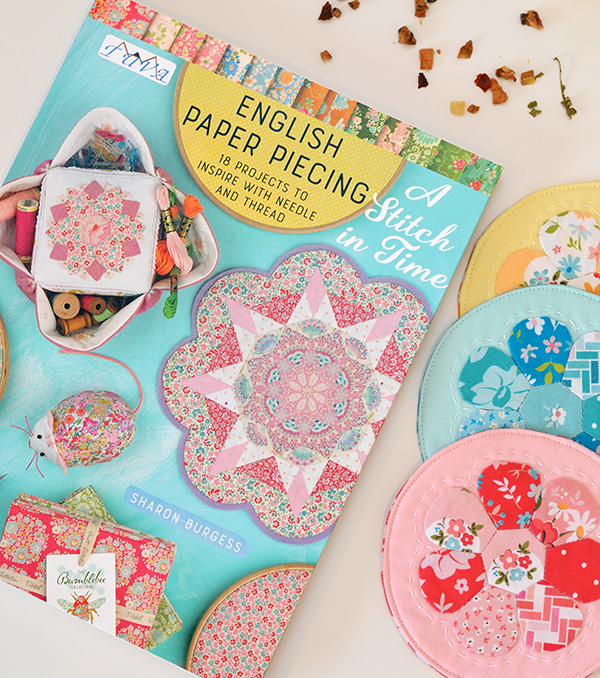 This book very much follows from and is in the same lovely style as Sharon's first book, 'Quilting-on-the-go' and does not disappoint! I loved Sharon's first book but I think I love this one even more as it contains mainly smaller projects - there is one quilt in there but most things in this book are very doable in a short space of time for those amongst us who are time-poor or lack the patience to attempt a full size EPP quilt. It's also a great book for EPP beginners as there is a huge technique appendix that teaches everything you need to know! 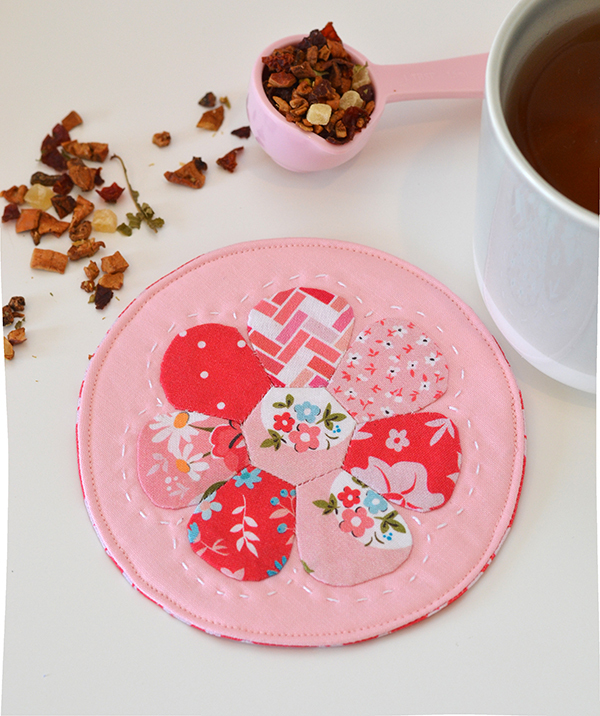 I was under heavy time constraints when sewing my project for this tour so I went a bit off-piste with my project. 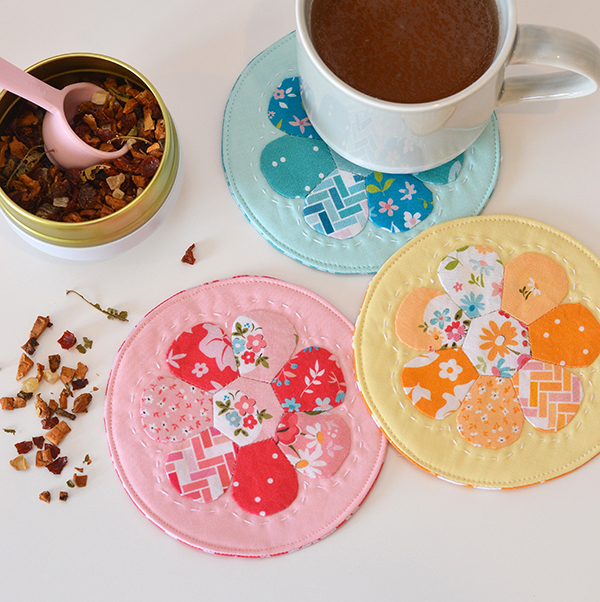 I loved the flower medallions from the 'Sweet Daisy Baby Quilt' so I decided to make three of them and turn them into coasters. 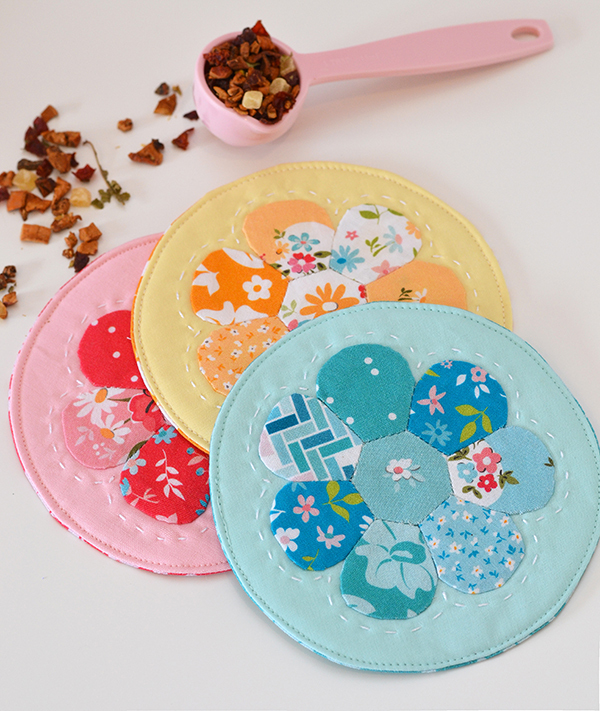 They were super fast and satisfying to make - especially for someone like me who gets the itch from time to time to take a break from standard patchwork and do something different - EPP, embroidery, crochet and cross-stitch are right up there in terms of what I crave the most! 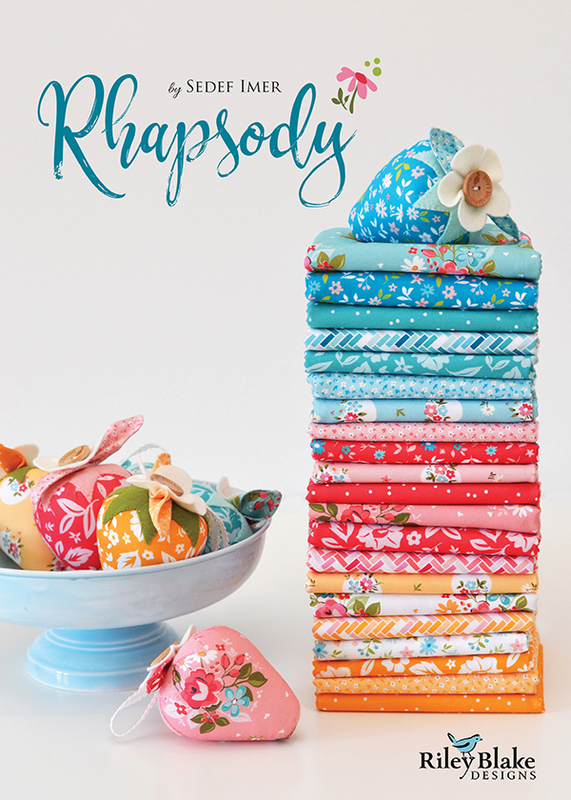 If you are wondering what the fabrics are, they are from my next collection 'Rhapsody' for Riley Blake Designs coming out in 2019 and making their debut at the Australian Quilt Market this weekend. 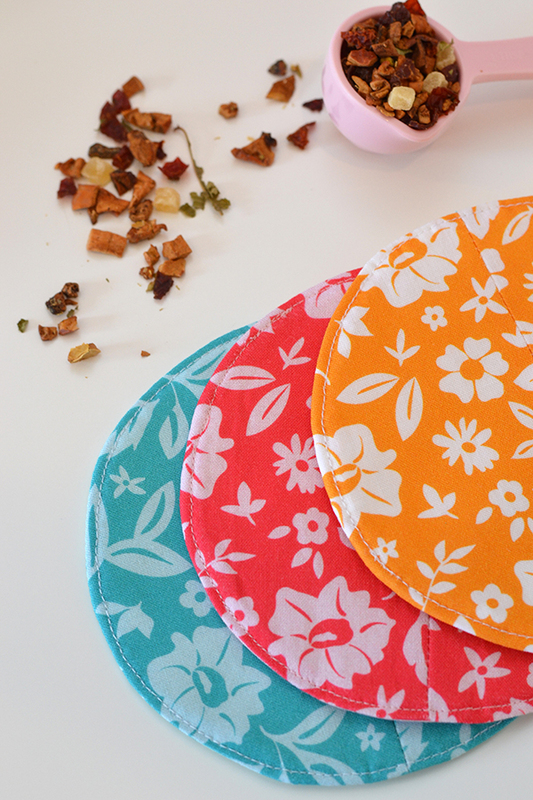 I've been sewing heaps with them recently and loving the vivid colours - I hope you like them too and will be adding them to your fabric collection in the new year! 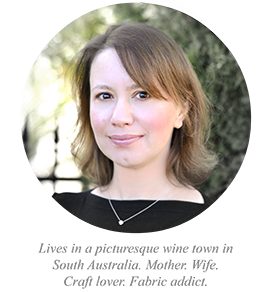 Congratulations Sharon on another fantastic book! If you would like to see more projects from the book you can check out the hashtag #astitchintimeepp on Instagram and Facebook. 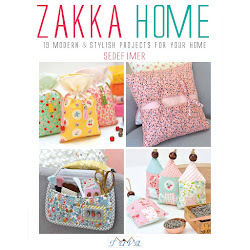 You can find the book at your favourite local quilt store, online fabric stores, as well as major book retailers such as Amazon, Barnes & Noble and similar. This book is on my list. 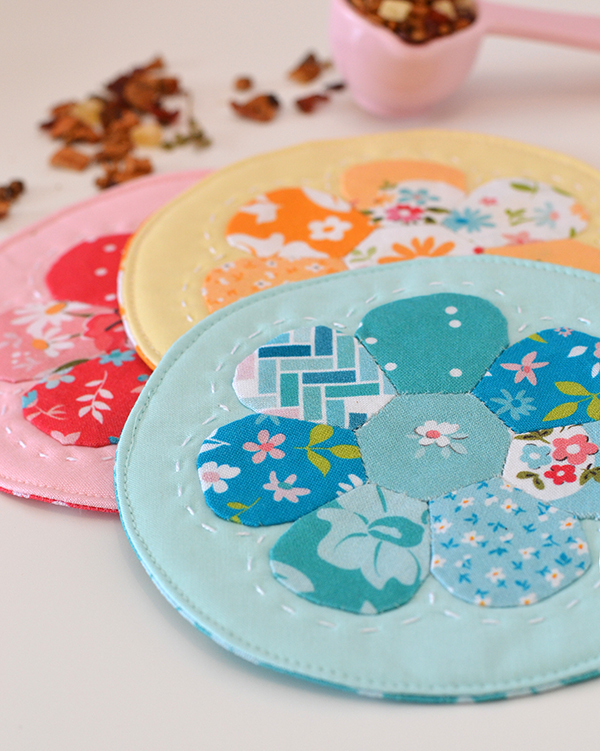 I am new to EPP and I love it. I can't wait to make everyone I love something pretty.